Hello beauties! NY Fashion Week has come and gone, but the Fall 2014 trends are just beginning to emerge. This past week, I've been glued to the runways, cataloguing stand-out designs and trying out new looks. As you all may know, I'm a loyal Jason Wu follower, so I was thoroughly excited for his strong Fall collection and eager-as-always to recreate his signature high-drama makeup. 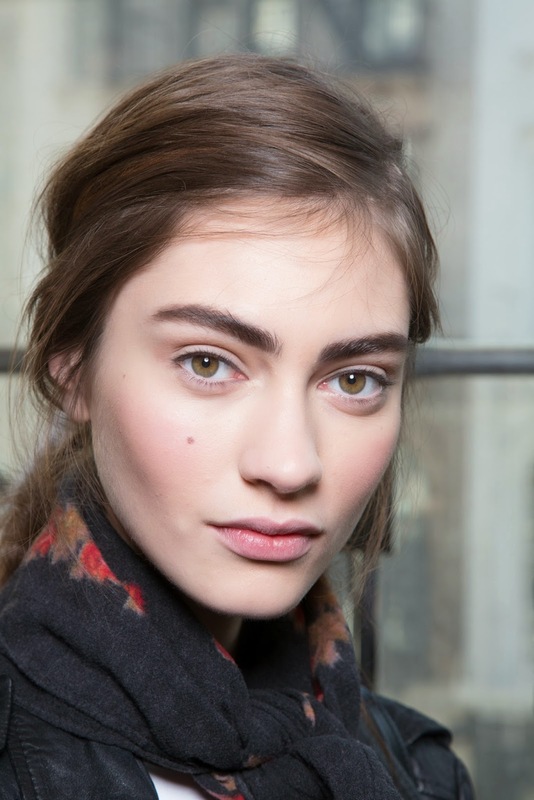 This season, however, Mr. Wu surprised us all as he set out on a brand new mission: Effortless Chic and Minimal Makeup. Perplexed? Don't be. Who needs the drama when you've got Adriana Lima and Jourdan Dunn? My adaptation & Tutorial: Sticking to Jason Wu's vision, I kept my version clean and simple. I used all the original products listed above, plus Lancome Hypnotic Eyes Palette in Beige Brulee for the brows and crease color. I added a dose of drama with a slightly longer cat eye and Lancome Definicils High Definition Mascara. Using a brow brush, define the brows and fill in any sparse areas. Prime the lids and apply a soft wash of the medium brown crease shadow to the crease and brow bone. 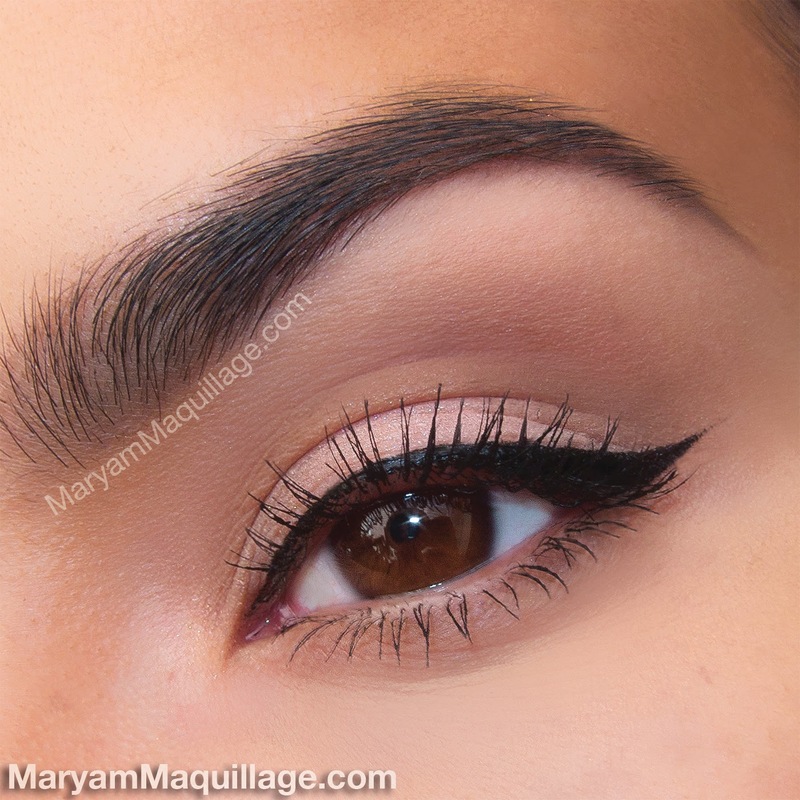 Use a pointed crease brush to define the crease with a slightly darker shadow. Using a shimmery pale pink highlighter shade (Blush Palette), highlight the center of the lid and below the brow. Line the top lash line using Artliner 24H and extend the wing just a few mm's to give it a flirty flick. 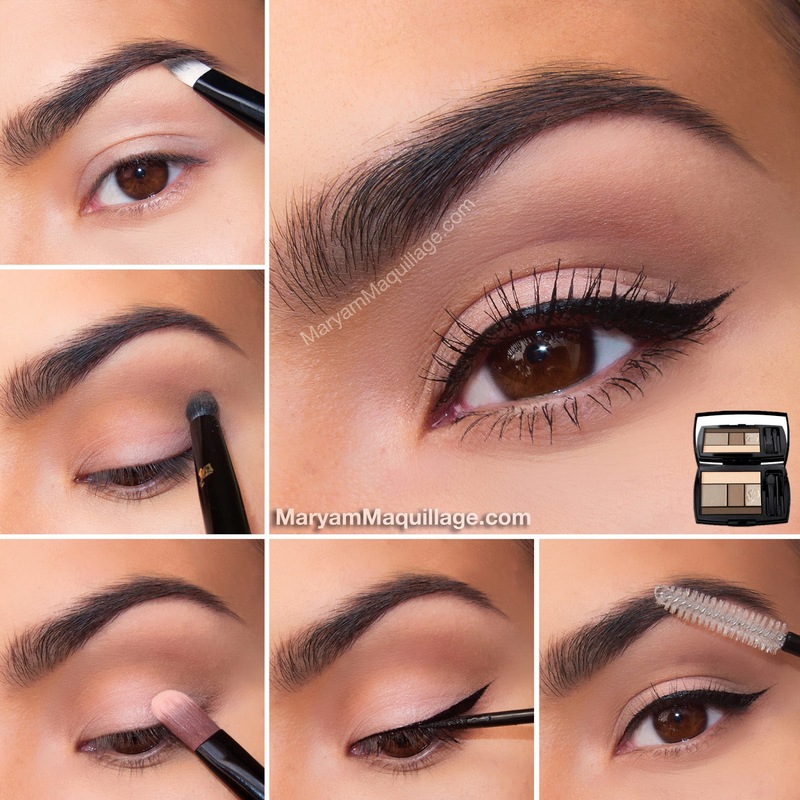 Clean up the brows by sealing them with Brow Groomer. Curl the lashes and add a coat of mascara to the top and bottom lashes. Please do more Youtube Tutorials. I love all your makeup looks! Loving the simple trend! Gorgeous.